This week The University of Toledo Alumni Association will recognize the winners of its most prestigious awards: the Gold T, Blue T and Edward H. Schmidt Outstanding Young Alum Award. These three recipients will be recognized — along with distinguished alumni from each UT college — at the Homecoming Alumni Gala and Awards Ceremony Friday, Oct. 6, at 6 p.m. in the Thompson Student Union Auditorium. Tickets for the gala are $30 each, $10 for children, and may be purchased by calling the Office of Alumni Relations at 419.530.ALUM (2586) or by visiting toledoalumni.org. The Gold T is presented to a UT graduate in recognition of outstanding achievement in his or her field of endeavor while providing leadership and noteworthy service to the community. The 2017 winner of the Gold T is Dr. Julian Kim of Shaker Heights, Ohio. 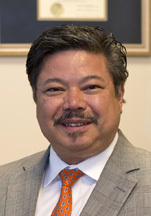 Kim, a renowned expert in the treatment of patients with melanoma, breast cancer, soft tissue sarcomas and gastrointestinal malignancies, graduated from the College of Medicine and Life Sciences in 1986. Chief of oncologic surgery and chief medical officer at the Seidman Cancer Center of University Hospitals Cleveland Medical Center and the Charles Hubay Professor of Surgery at Case Western Reserve University, Kim holds the U.S. patent for novel research discovery in adoptive immunotherapy of cancer. His breakthrough process takes immune cells from a cancer patient and activates them in a laboratory in order to infuse them back into the patient to treat the cancer. Clinical trials in patients with advanced melanoma have proven successful, with the treatment helping to slow the advancement of the cancer. His treatment process is being used to assist pancreatic cancer patients. Prior to joining the Seidman Cancer Center in 2006, Kim served as director of the Melanoma Program at the Cleveland Clinic. Seidman Cancer Center is one of only 42 cancer hospitals nationwide. The Blue T is presented to a UT Alumni Association member and UT graduate who has made outstanding contributions to the progress and development of the Alumni Association and University. The Hon. Nancy Miller, of Sylvania, Ohio, is the 2017 honoree. Chief magistrate of Lucas County Probate Court, Miller holds three degrees from The University of Toledo: a bachelor of arts in psychology/sociology in 1977, a master of education in community agency counseling in 1979, and a juris doctor from the College of Law in 1988. 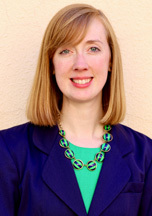 A member of the executive committee of the Alumni Association’s Board of Trustees where she serves as secretary, Miller is also chair of the policy and procedures committee for Women & Philanthropy at UT. Recipient of the Henry Herschel Commitment Award in 2015 from the College of Law Alumni Affiliate, she is a member of the Dean’s Advisory Board in the College of Law. Miller is a major donor to numerous campus organizations, including the Medical Research Society, Women & Philanthropy, and the College of Law. A past president of the Lucas County Bar Association and the Toledo Women’s Bar Association, Miller was the first ombudsman for Lucas County Children Services. She has received national acclaim for her work in protecting children. The Edward H. Schmidt Outstanding Young Alum Award is presented to a University graduate who is 35 years or younger in recognition of outstanding achievement in her or his field of endeavor, while providing leadership and noteworthy service to the Alumni Association, University or community. This award is named in memory of Ed Schmidt, a 1942 alumnus and a longtime supporter of the University and its Alumni Association. The 2017 recipient of this award is Dr. Michelle Carey, of Temperance, Mich. Carey earned a bachelor of science degree from the College of Pharmacy and Pharmaceutical Sciences in 2011 and was awarded the doctor of pharmacy degree from that college in 2013, when she was the class valedictorian. Clinical pharmacist for St. Luke’s Hospital Anticoagulation Service, Carey is an active community volunteer. Secretary of the Toledo Academy of Pharmacy, she is a member of the American Pharmacists Association national new practitioner communications and networking committee. A member of the UT Alumni Association’s Board of Trustees, she is a regular volunteer at the University community care clinic, Notre Dame Academy, Blessed Sacrament Church and Bedford Goodfellows. This entry was posted on Wednesday, October 4th, 2017 at 3:03 am and is filed under Alumni, Events, Law, Medicine and Life Sciences, News, Pharmacy and Pharmaceutical Sciences, UToday .